Now the scientists from NOAA Fisheries and the University of California at Santa Cruz have resolved the puzzle, realizing new insights into how egg size and water flow affect the survival of egg-laying fish. The larger the eggs, they found, the greater the water flow they need to supply them with oxygen and carry away waste. The results of the study were published in the scientific journal Ecology Letters. 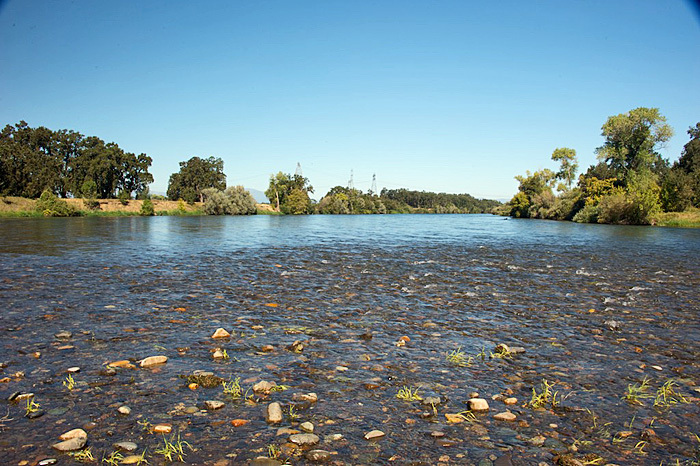 NOAA Fisheries is using the findings to improve protection of fish in the Sacramento River. Scientists often use laboratory studies to estimate how species will respond to elevated temperatures. The results from this study reveal that fish may respond to temperature differently in the field than in the lab. Understanding the causes for this difference may help researchers improve their predictions of how temperature affects fish eggs across different environments. 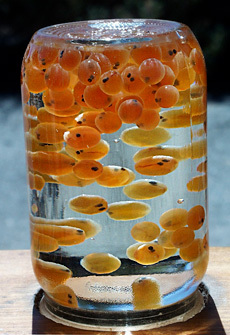 External temperatures govern the biological processes of salmon eggs and the embryos inside. As the water gets warmer their metabolism increases, demanding more and more oxygen. Unlike juvenile and adult fish, eggs cannot move and don't have a developed respiratory or circulatory system. Instead they rely on flowing water to supply oxygen and carry away waste products. Winter-run Chinook salmon are especially challenged when it comes to warmer water temperatures because their eggs are atypically large and require more oxygen exchange. Their egg size evolved to take advantage of cold water above Shasta Dam where they once spawned. However, the salmon now spawn in the warmer Sacramento River below the dam. After further analysis of field data, scientists found a fundamental difference between conditions in the laboratory and conditions that effect eggs in the wild. Laboratory studies estimating the temperature tolerance of the Chinook eggs included water flowing over the eggs at about two to three times faster than salmon eggs typically experience in the wild. The faster moving water provided more oxygen to the eggs in the laboratory, allowing them to survive higher temperatures. The researchers borrowed concepts from physics to develop a model to determine how much oxygen flowing water can supply to fish eggs, depending on its velocity. The model predicted that the slower flowing water in the river would not supply the oxygen needed for egg viability in elevated temperature conditions. Field studies found that the slower flow in the river equated to about a 3 °C difference in the temperature tolerance of eggs, exactly what the model predicted. This new model also provides an explanation for why fish species produce larger eggs in colder water. In general, the oxygen demand of eggs is proportional to their volume, while oxygen supply is proportional to the surface area of the egg, where the oxygen diffuses into the egg from the surrounding water. The surface area to volume ratio of an egg decreases with increasing egg size, which sets a limit on how large eggs can be and still get enough oxygen to survive. Since oxygen demand increases with temperature, fish species in warm water must make smaller eggs to match oxygen demand with supply. However this model also predicts that fish can produce larger eggs in warm waters when they are in high flow environments. The researchers compiled data on 180 fish species and found that eggs in high flow environments, such as rivers, consistently produce larger eggs than expected for a given temperature. Some fish have even adapted to produce larger eggs in warm waters by using their tail to fan water over their eggs, which comes with a significant cost in terms of energy, time and risk of predation. One important implication of this model is that warming conditions and declines in oxygen levels in aquatic systems may create evolutionary pressure for fish to produce smaller eggs in the future. 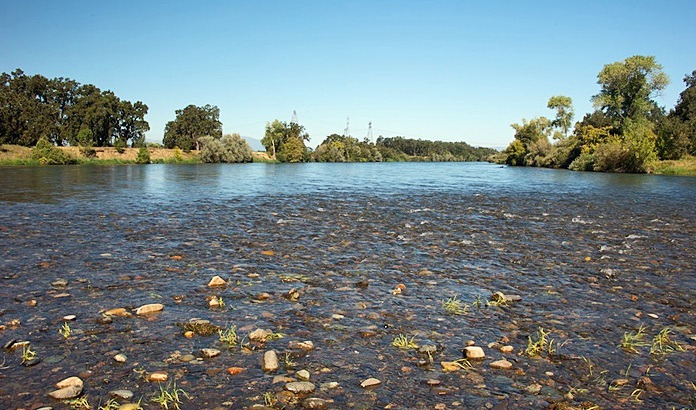 NOAA Fisheries has incorporated the new findings into agency guidance regarding the temperatures needed to support endangered Chinook salmon in the Sacramento River.